Why oh why would someone intentionally scratch out the name of the group on the label, on both sides to boot? This record did get re-released by a larger label, so perhaps after the record was licensed to the other label Locket Records wasn't supposed to sell it anymore? Who knows, but it sure is sad to see! 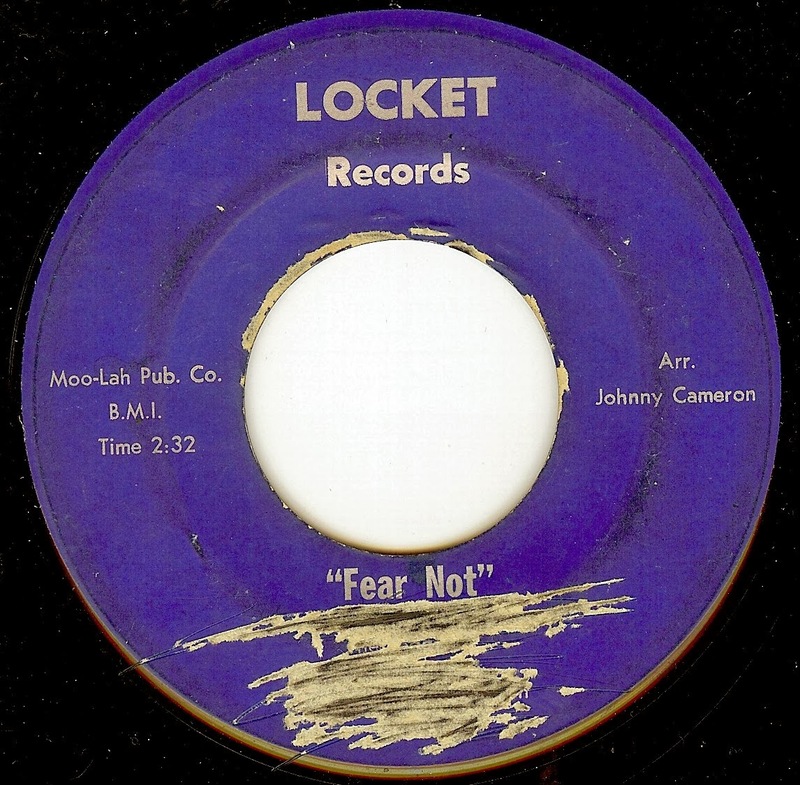 Both sides are excellent Chicago group vocal soul; 'Fear Not' is more uptempo and swinging, while 'Gotta Let You Go' is a typically pretty ballad of the era (and location). Both sides show that The Ledgends were yet another very talented vocal group that got lost on the shuffle of the very fertile Chicago soul scene. FAMILIAR WITH GROUP, SANG WITH THEM ONCE AT A REHEARSAL WHILE ATTENDING ECUMENICAL INSTITUTE RETREAT. "DOC" THERE BASS WAS A REPLACEMENT FOR " RED" BASS SINGER OF CHILITES. TALENTED GROUP FROM CHICAGO WESTSIDE.